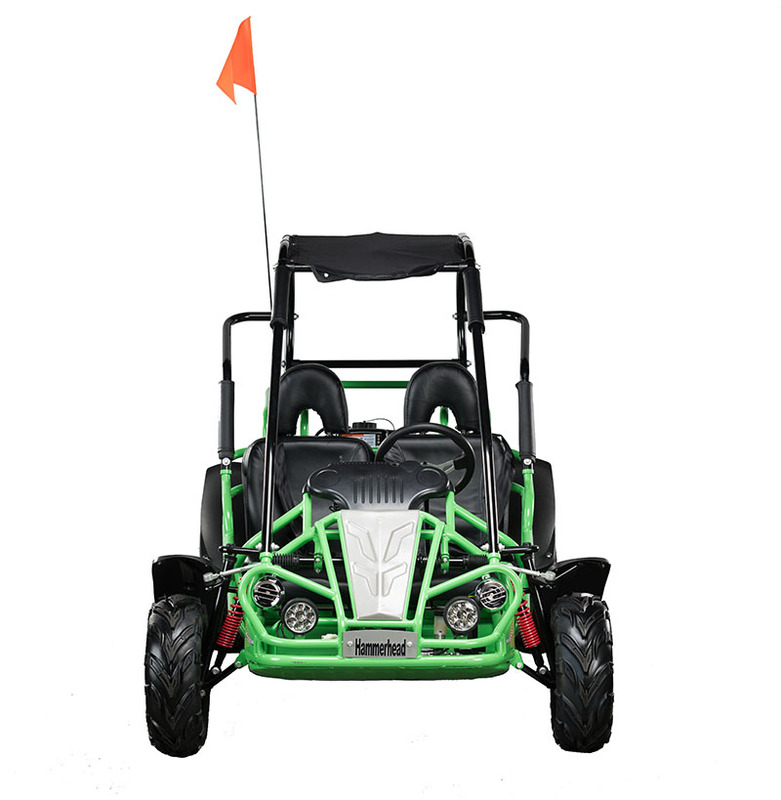 The Hammerhead MudHead 208R is our latest addition to the youth off road category here at Shore Cycles and now available in six colors. 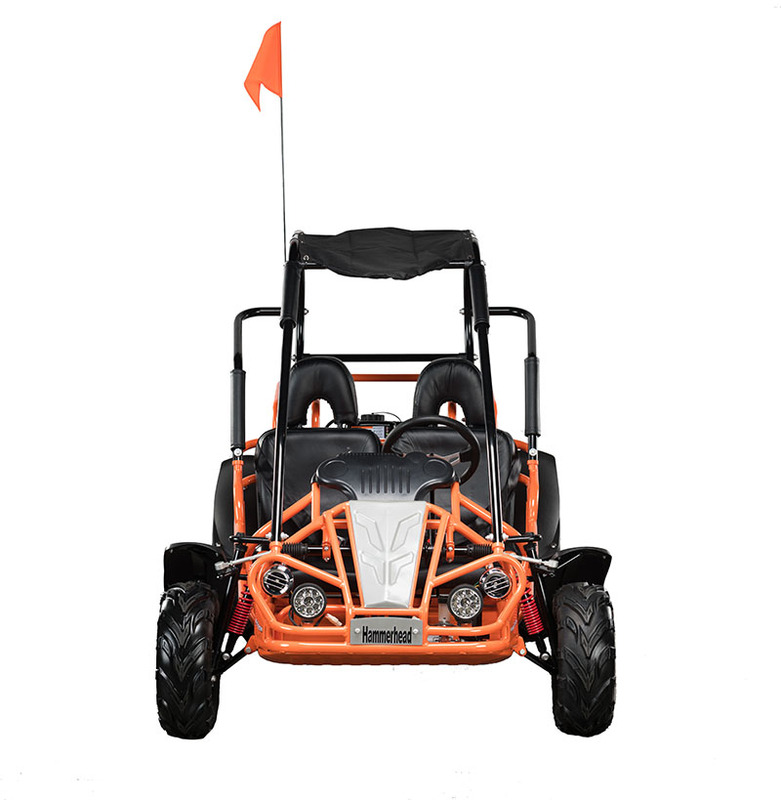 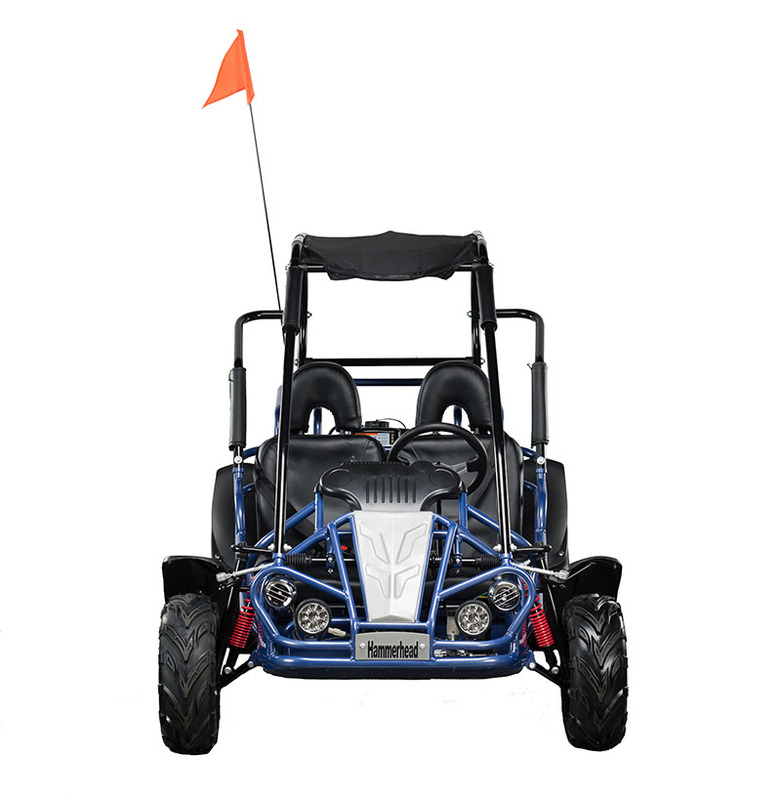 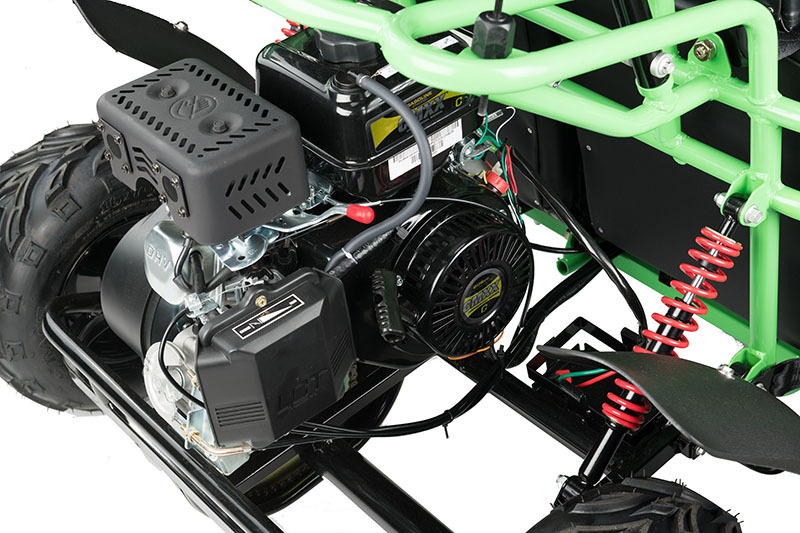 The MudHead 208R comes equipped with reverse and a 208cc (6.5 HP) LCT electric-start engine utilizing a manual choke for all-weather starting. Other upgraded features include an adjustable driver’s seat, LED headlights, and a throttle governor. 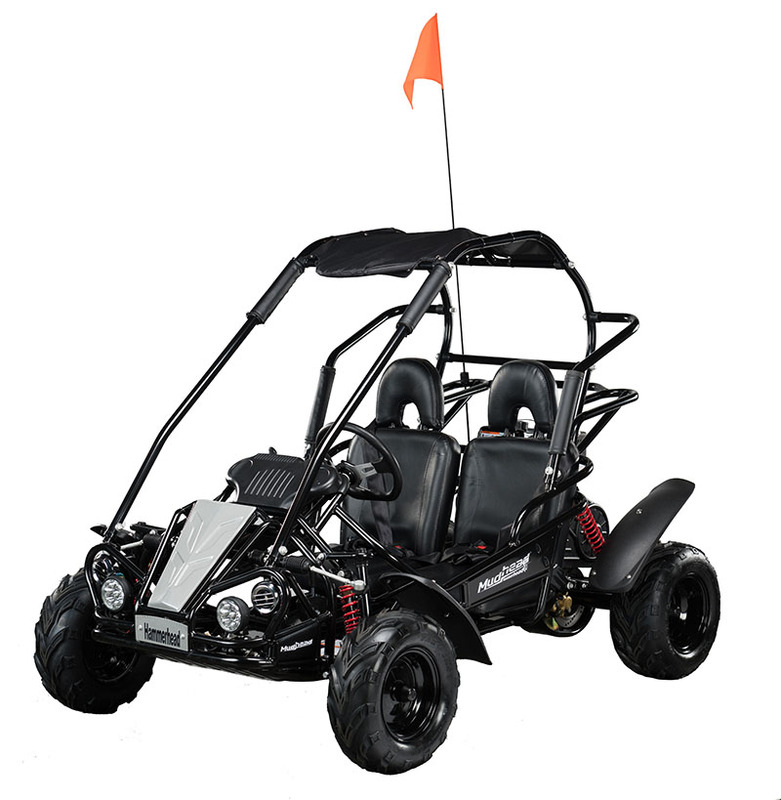 The Mudhead is assembled in the USA. 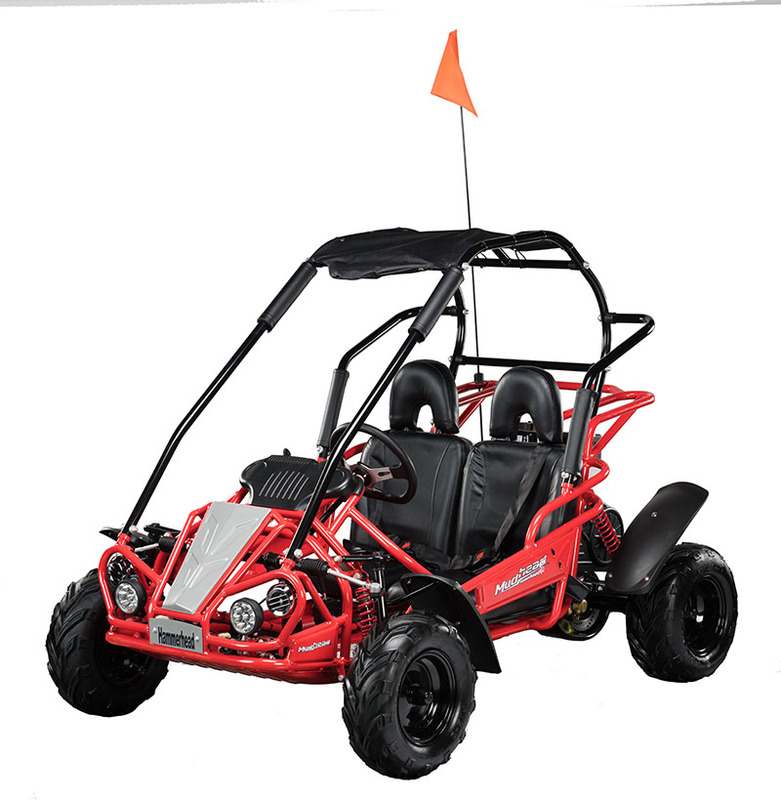 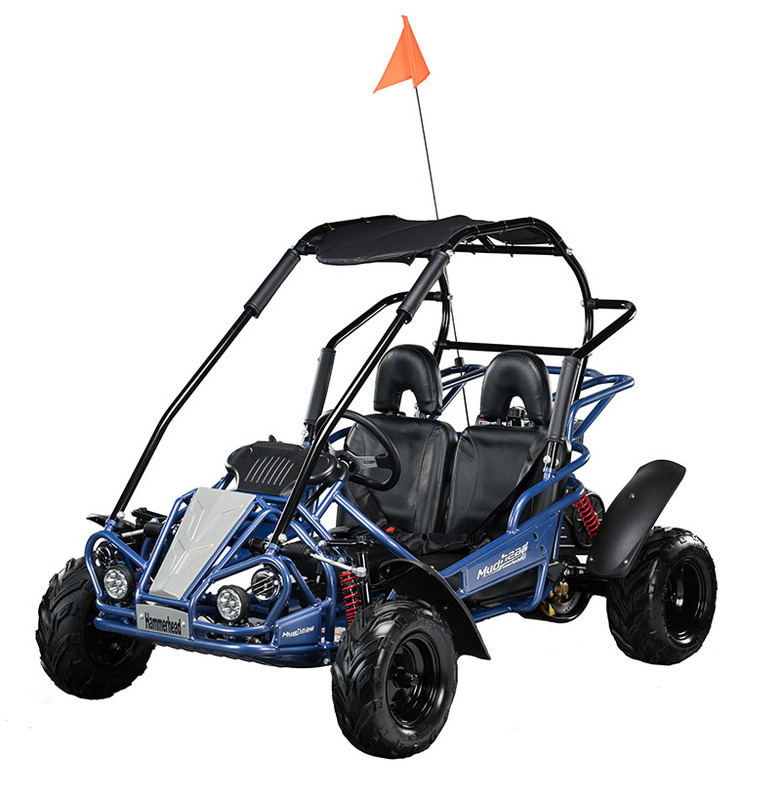 Reverse, electric start, back-up pull starter, horn, dual LED head lights, all wheel fenders, adjustable individual seats, canopy top.